I really admire how caricaturists can capture the likeness of someone in such exaggerated drawings. It is quite a skill. Being able to recognise which parts of a face offer themselves for exaggeration seems easy enough, but retaining the personality of that face, through the stretched lines and contorted shapes, is where the real treasure of caricature seems to be buried. It is something I struggle with every time I try to draw a likeness. When I was asked by The Printroom (http://www.theprintroomlewes.com/) to exhibit some of my work, I decided to challenge myself by producing a series of caricatures. 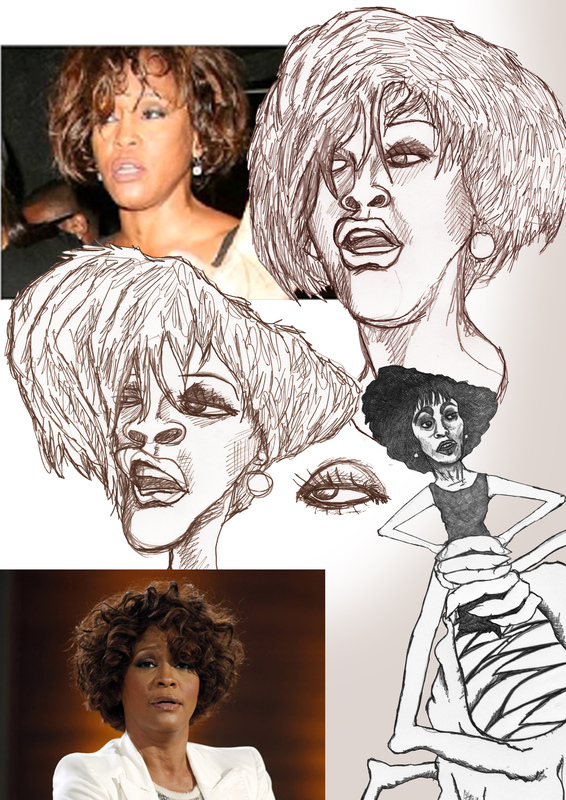 So I started by looking at a series of pictures of Whitney Houston and I explored different ways I might create a likeness. Some examples are below. I will explain the details of the theme (entitled ‘Fame Monsters’) in a later blog post, nearer the time (the work will be on the walls throughout April at The Printroom in Lewes, East Sussex). 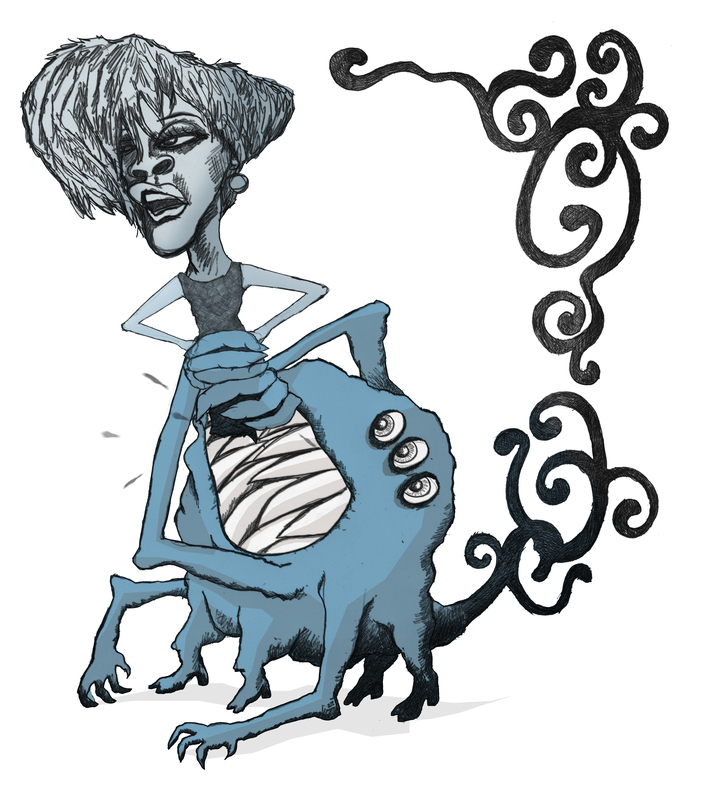 This entry was posted in Uncategorized and tagged caricature, fame monster, Whitney Houston. Bookmark the permalink.